Come and experience Saint-Jean-Sur-Richelieu and its festivals, live music and theater scene. This city is welcoming and cosmopolitan, recognized for its football games, riverfront and bird watching. Whether you're planning a family vacation, friends trip or romantic retreat, HomeAway has a great selection of vacation homes. Many rentals come with a full kitchen and separate dining area, perfect if you need a space for entertaining. The nearest airport is in Montreal, QC (YHU-St. Hubert), located 16.4 mi (26.4 km) from the city center. If you can't find a flight that works for your travel itinerary, you can also fly into Montreal, QC (YUL-Pierre Elliott Trudeau Intl. ), which is 25.7 mi (41.4 km) away. Where to stay near Saint-Jean-sur-Richelieu? 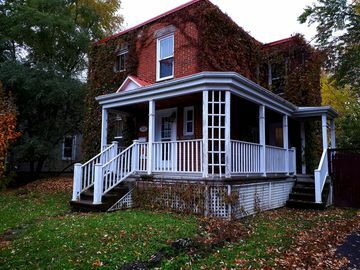 Our 2019 vacation rental listings offer a large selection of 68 house rentals near Saint-Jean-sur-Richelieu. From 20 Houses to 45 Condos/Apartments, find the best place to stay with your family and friends to discover Saint-Jean-sur-Richelieu area. What is the best area to stay when travelling to Saint-Jean-sur-Richelieu? Can I rent Houses in Saint-Jean-sur-Richelieu? Can I find a vacation rental with pool in Saint-Jean-sur-Richelieu? Yes, you can select your preferred vacation rental with pool among our 16 vacation homes with pool available in Saint-Jean-sur-Richelieu.